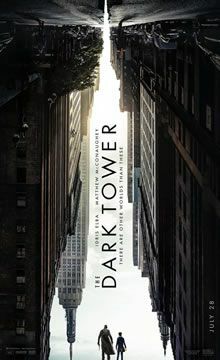 Eleven-year-old Jake Chambers experiences visions involving a Man in Black who seeks to destroy a Tower and bring ruin to the Universe, and a Gunslinger who opposes him. Jake's mother, stepfather, and psychiatrists dismiss these as dreams resulting from the trauma of his father’s death the previous year. At his apartment home in New York City, a group of workers from an alleged psychiatric facility offer to rehabilitate Jake; recognizing them from his visions as monsters wearing human skin, he flees. Jake tracks down an abandoned house from one of his visions, discovers a high-tech portal, and travels to a post-apocalyptic world called Mid-World. Read more on Wikipedia.